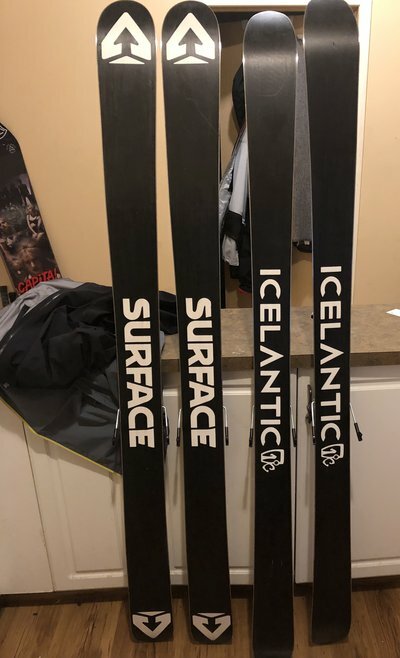 2016 Surface Outsiders 179cm - Used around 25 days. One core shot that was proffesionally fixed. No edge cracks. Would like to sell as a package with the FKS’s. 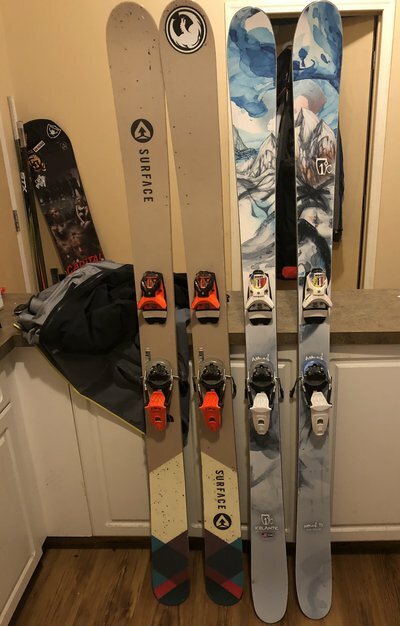 2017 Icelantic Nomads 95 / 181cm - Bought brand new in Dec. Only ski’d on three times. Not selling the pivots ! Both ski’s have been centre mounted for a 25.5 boot. Will ship within North America at buyers expense. Thanks ! 300 for outsiders with nidings or 325 nomads with no bindings? TheoMaestro 300 for outsiders with nidings or 325 nomads with no bindings?